Risk management is clearly to the forefront in most banks and is an area for investment. There are various tactical and strategic approaches, plus a range of proven systems to facilitate compliance and reduce risk. 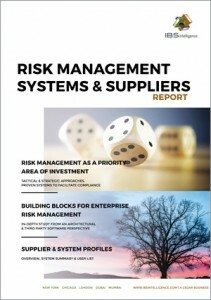 The Risk Management Systems & Suppliers Report from IBS Intelligence studies the building blocks for enterprise risk management, from both an architectural and third party software perspective. It looks in detail at the offerings, including an overview, their evolution, functionality, partners, strategy, user experiences and example users. Each profile also includes extensive product functionality data, technical specifications and customer details.